Maigeng Zhou, BSc, MSc, PhD, is Professor and Deputy Director of the National Center for Chronic and Non-communicable Disease Control and Prevention of the Chinese Center for Disease Control and Prevention and Affiliate Professor at the Institute for Health Metrics and Evaluation (IHME) at the University of Washington. 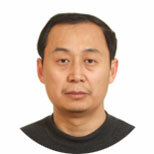 Professor Zhou is an experienced epidemiologist and public health researcher in China. His research focuses on chronic non-communicable disease control and prevention, especially mortality trends, burden of diseases, the health effects of risk factors, and intervention strategy development and assessment. His most recent research included the effect of air pollution on health status in China. He is also a leading expert on vital statistics in China. He has received research projects or grants from the main funding sources in China, including the Ministry of Science and Technology, Ministry of Health, and Ministry of Education. He has also received funding from international agencies such as the World Health Organization and has long-term collaborations with the University of Oxford, Harvard University, Stanford University, and Johns Hopkins University in a wide range of research projects on chronic disease control and prevention. Professor Zhou holds a Bachelor of Preventive Medicine degree, a Master of Science, and a PhD in Epidemiology from the Chinese Center for Disease Control and Prevention. He has more than 100 peer-reviewed journal publications in English and Chinese and has published over 30 government or commissioned reports. Zhou M, Astell-Burt T, Bi Y, Feng X, Jiang Y, Li Y, Page A, Wang L, Xu Y, Wang L, Zhao W, Ning G. Geographical variation in diabetes prevalence and detection in China: multilevel spatial analysis of 98,058 adults. Diabetes Care. 2014 Oct 28. Zhou M, Liu Y, Wang L, Kuang X, Xu X, Kan H. Particulate air pollution and mortality in a cohort of Chinese men. Environ Pollut. 2014; 186:1-6. Zhou M, Hu G, Wang L, Ma S, Wang L, Li Q, Hyder AA. Bicyclist mortality between 2006 and 2010 in China: findings from national Disease Surveillance Points (DSP) data. Inj Prev. 2014 Feb; 20(1):7-10. Yang L, Zhou M, Sherliker P, Cai Y, Peto R, Wang L, Millwood I, Smith M, Hu Y, Yang G, Chen Z. Alcohol drinking and overall and cause-specific mortality in China: nationally representative prospective study of 220,000 men with 15 years of follow-up. Int J Epidemiol. 2012; 41(4):1101-1113. Zhou M, Offer A, Yang G, Smith M, Hui G, Whitlock G, Collins R, Huang Z, Peto R, Chen Z. Body mass index, blood pressure, and mortality from stroke: a nationally representative prospective study of 212,000 Chinese men. Stroke. 2008 Mar; 39(3):753-759.